Russians adore Caucasian – in particular, Georgian – cuisine. 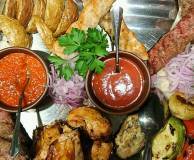 In the past, Georgia, Armenia and Azerbaijan were part of the Russian and, later, Soviet empires and many traditional dishes from there are familiar to Russians and are on their everyday menu. 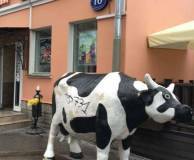 There are not so many vegetarian cafés and restaurants in Moscow. Vegetarians, or people who do not eat any meat of fish at all, can find somewhere to have a bite, though. In Moscow there are several vegetarian food facilities, including cafés and restaurants. There are many affordable restaurant chains in Moscow, with nearly 1,000 restaurants to choose from across all parts of the city. Visitors can choose from Russian, European or Asian cuisine at a reasonable price (from 400 to 800 RUB) in a friendly atmosphere. 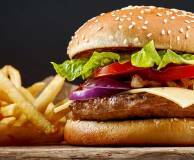 The total number of Moscow’s fast food locations (listed below) is over 1,200. 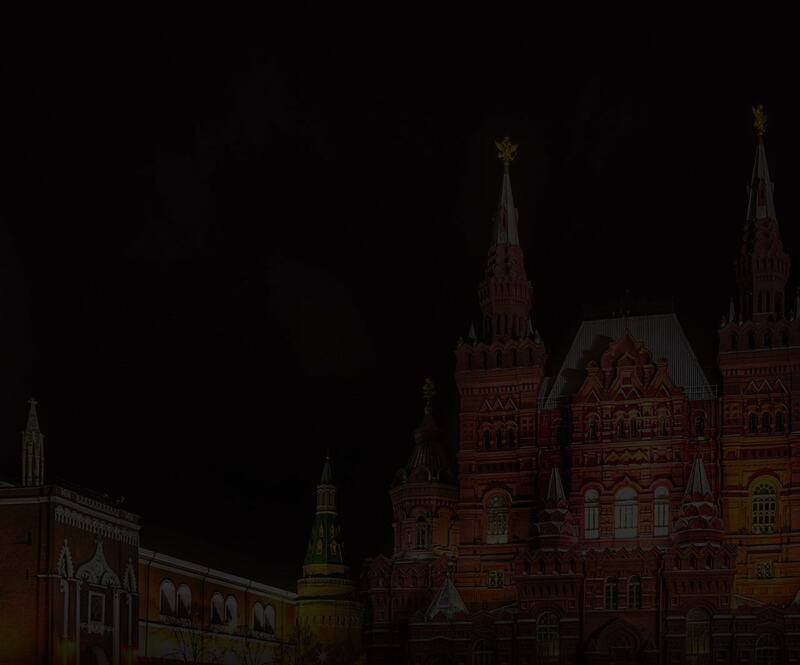 They are at every turn, notably at metro entrances and on bustling streets in downtown Moscow. 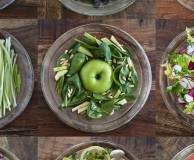 The average bill listed is what a standard meal would approximately cost. This is an overview of casual dining restaurants that have been frequented by Muscovites for decades. 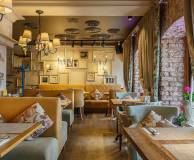 These include some large chains that encompass nearly 400 restaurants in Moscow altogether, offering dinner at prices ranging from 800 RUB to 1,500 RUB. 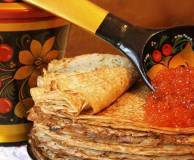 Russian blinis, caviar, soups and pies are well-known all over the world. These dishes are Russia’s gastronomical highlights, although this list is far from being exhaustive. 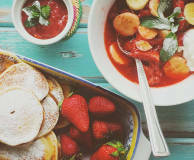 Russian cuisine is varied and rich in flavours, including hot spicy food. 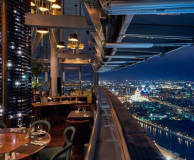 In Moscow, facilities for trendy and creative intelligentsia grow in number from year to year. All sorts of coffee shops offering Wi-Fi are particularly popular among these people looking to kick back with their computer and sip a cup of custom-made coffee. Regular city restaurants occupy ground floors, and their signs are easily noticeable to any passer-by. Meanwhile, there are special venues in Moscow hiding high above, sometimes almost just under the clouds. They are hard to find, but they are worth it. Windows of these bars and restaurants provide breathtaking views of the city.